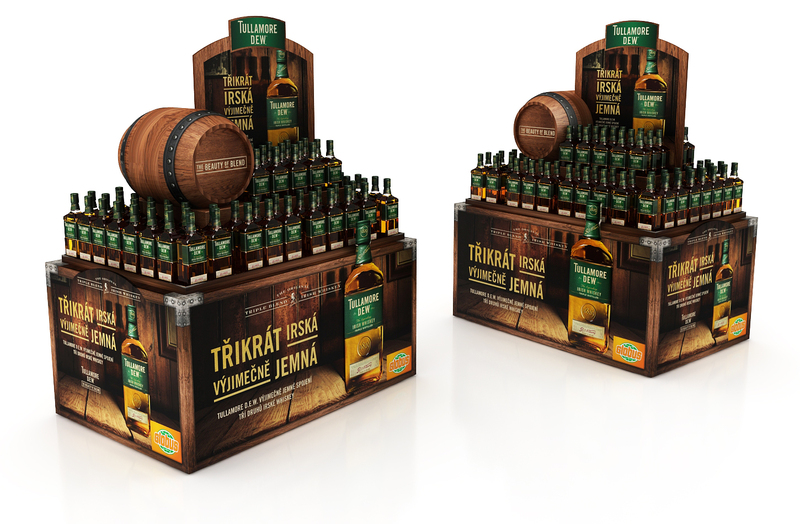 We produced a new pallet display for the Irish whiskey Tullamore D.E.W. in co-operation with our client and the leading producer of spirits Rémy Cointreau. 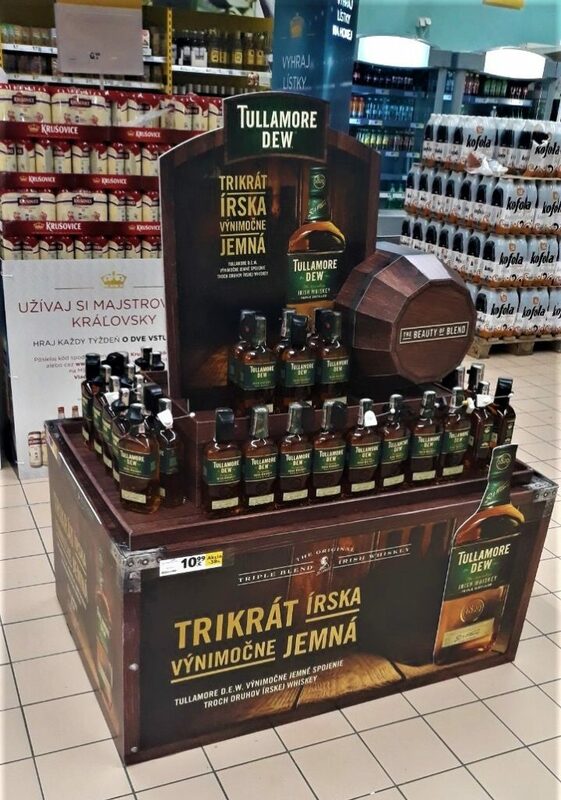 It was located into selected Tesco CZ and SK stores. We chose cardboard as the main material for the production. The display has been designed into dark brown tones. 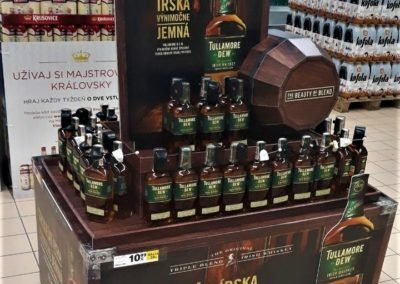 Its dominant is a wood-imitating cardboard barrel which is the most visible element of the display, and so it refers to the whiskey ageing after its distillation. The overall composition thus underlines the authenticity of the product. It is interesting that the barrel leaves production completely assembled. The final appearance of the display maximally reflects the improved key visual. 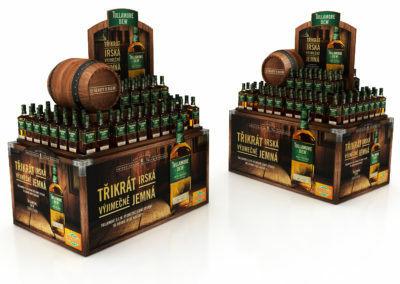 Rémy Cointreau is trying to draw attention to the softness of the whiskey, which is so important for Tullamore D.E.W. 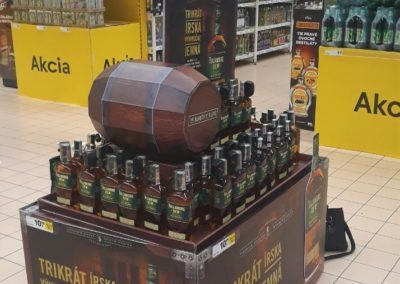 The central part of the display is movable, so it can be adapted to the needs of a particular store. As a result, the island looks well placed both within the area and as a part of already existing pallet displays. 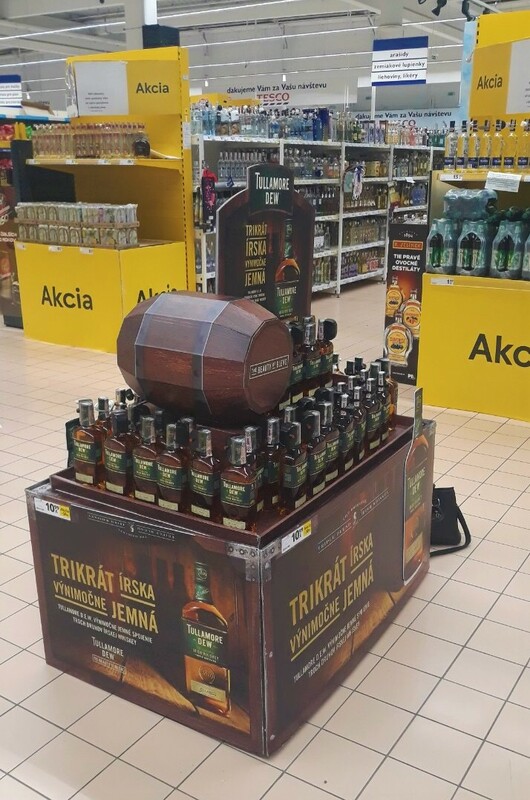 In addition to Tesco CZ and SK, there are being prepared also installations in Globus stores. There will be additional cardboard displays with the same visual.